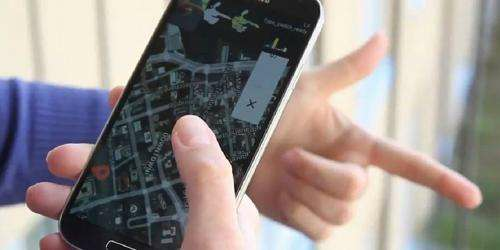 Professor Otmar Hilliges and his staff at ETH Zurich have developed a new app enabling users to operate their smartphone with gestures. This development expands the range of potential interactions with such devices. The program uses the smartphone's built-in camera to register its environment. It does not evaluate depth or colour. The information it does register – the shape of the gesture, the parts of the hand – is reduced to a simple outline that is classified according to stored gestures. The program then executes the command associated with the gesture it observes. The program also recognises the hand's distance from the camera and warns the user when the hand is either too close or too far away. But will smartphone users want to adapt to this new style of interaction? Otmar Hilliges is confident they will. Gesture control will not replace touchscreen control, but supplement it. "People got used to operating computer games with their movements." Touchscreens, Hilliges reminds us, also required a very long adjustment period before making a big impact in consumers' lives. He is therefore certain that this application – or at least parts of it – will find its way onto the market. More information: Song J, Sörös G, Pece F, Fanello S, Izadi S, Keskin C, Hilliges O: In-air Gestures Around Unmodified Mobile Devices, ACM User Interface Software and Technology Symposium, Honolulu, Hawaii, 7 October 2014. A Century from now, Smartphone will fly straight into your pants pocket like a Drone. So?